Sorry, I’m going to forego Money Monday in lieu of Halloween pics. I have a ton of them. We threw a fun little bash at our place Friday night to kick off the Halloween weekend festivities. Dean was super creative. 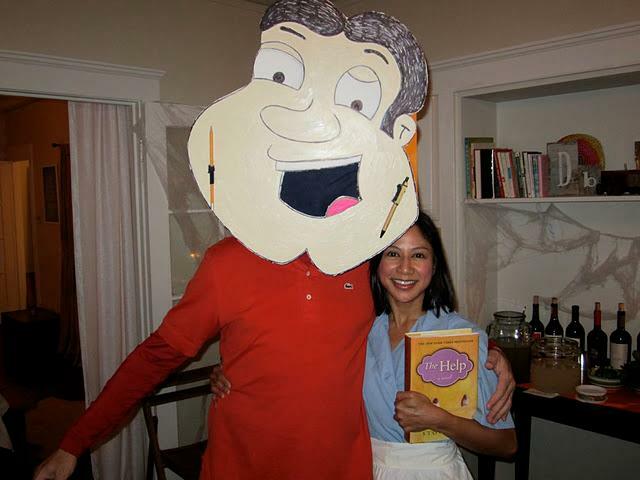 He drew and painted Quagmire from Family Guy and spent all weekend saying, “Giggity, giggity, giggity.” I was one of the maids from The Help, but no one got it. Boo! 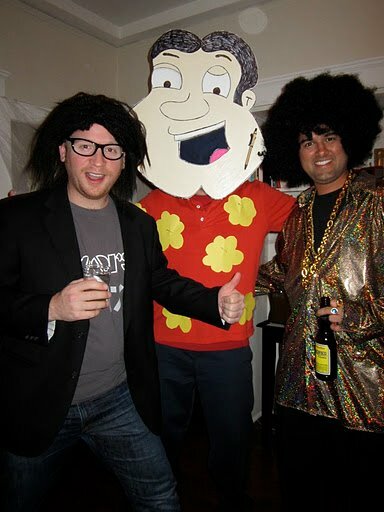 Quagmire is flanked by Bradley dressed up as the 99% and disco Amit. 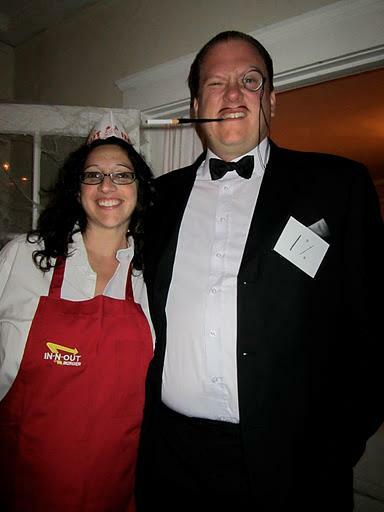 Jen’s taking orders from my favorite burger joint, while Steve represents the 1%. Steve and Bradley missed each other; otherwise, we would have the full 100%. Goofing around. 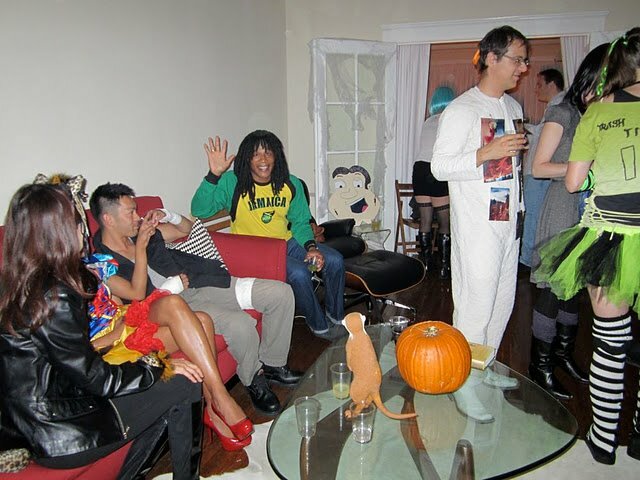 That’s yo man, Barry, waving in the Jamaica shirt.